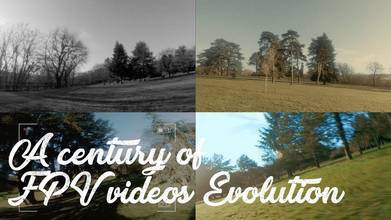 Ever what the evolution of FPV would look like had it been around over a century ago? FPV Pilot to Watch BlinKFPV created this unique, color-filtered flight and edit to show what he thinks the evolution - or revolution - would have looked like. The flow is right, the music is on-point, and we’re feeling this flight and vibe. Cheers to 1920!